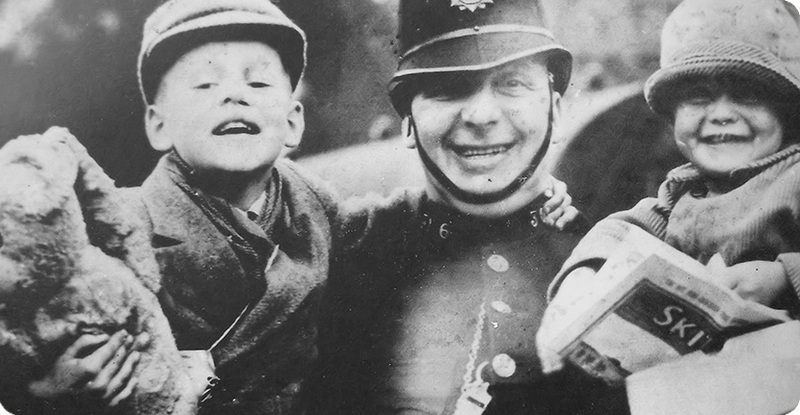 x Evacuation Between 19 and 21 June 1940 saw the evacuation of just over 25,000 people from the Channel Islands many of them children who would be separated from their parents for five years. 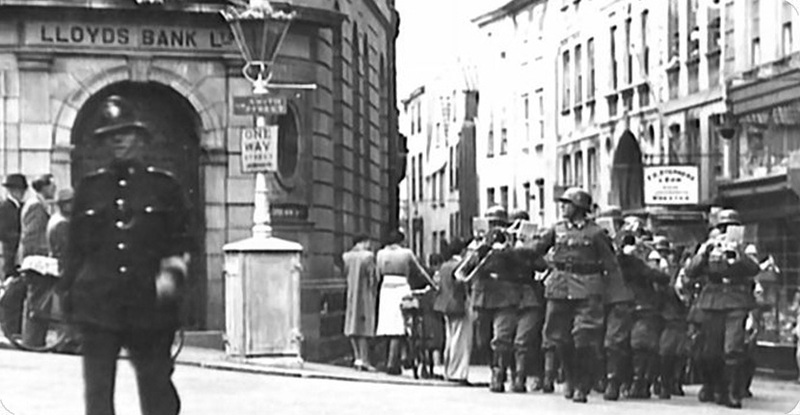 x Occupation The Germans took every advantage of the propaganda machine this well known photo of Germans marching past Lloydâ€™s Bank escorted by a Guernsey Bobby was to promote what may happen in England. 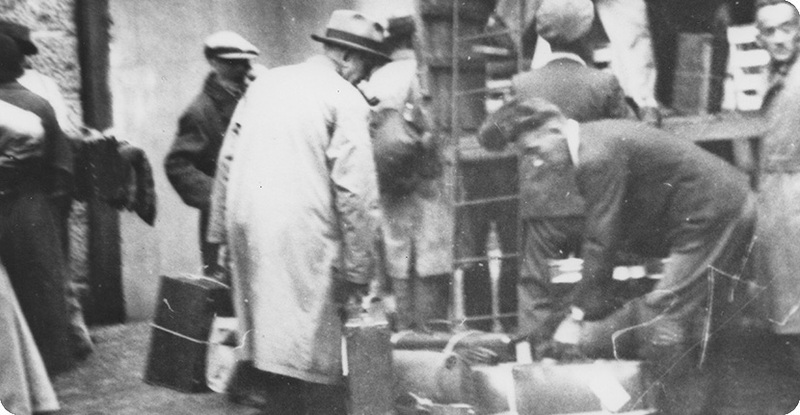 x Deportation In 1942 and 1943 saw the eventual deportation of 2,200 men, women and children to German internment camps, some are seen here loading the one suitcase they were allowed to take. 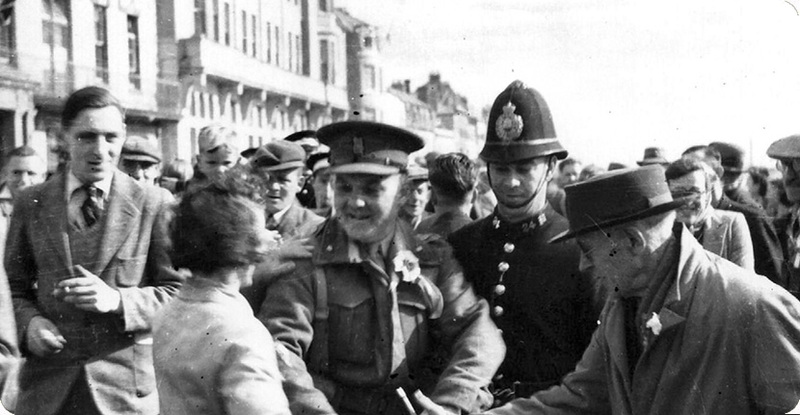 x LiberationThe Channel Islands were liberated from the occupying German forces on 9 May 1945 by the British. The unconditional surrender had been signed just hours before this photo was taken. restoration of the Naval Signals H.Q. Are you interested in joining the CIOS? New members are always welcome. The flagship publication of the Society is the annual Channel Island Occupation Review, which is sent free to members. Published alternately by the Guernsey and Jersey branches, it is produced to a high professional standard. All articles are meticulously researched and accompanied by numerous plans and photographs. In addition to this members will receive three newsletters updating them on the latest news and events. For examples of these documents please click on Publications. Rambles & Lectures Click here for information on past and future lectures & rambles from the CIOS. Fortifications The CIOS are pleased to be involved with the restoration of fortifications in Guernsey. click here for more information. Online Store The CIOS now offers a new Online Store where you can purchase goods and pay by credit card or Paypal. click here for more information. Museums For information on Channel Island museums please click here. Links For a selection of links please click here.